‘Grief is like the ocean; it comes in waves, ebbing and flowing, sometimes the water is calm, and sometimes it is overwhelming, all we can do is learn to swim.’ Beautifully interpreted by Vicki Harrison. Grief is described in the Collins English Dictionary as something that causes deep or intense sorrow, distress and suffering; especially at the death of someone. We mostly associate grief with the loss or death of a close friend, a loved one or a family member. But leaving home for the first time or relocating at a distance can also cause grief. When we or someone we love suffer terrible illness or loss of health we grieve. Moving to a new home may be felt as a loss, especially if you have lived in your old home all your life. The death of a pet; changing jobs; graduation; loss of physical ability or loss of financial security. Most of us may never go through all the symptoms of grief, yet for some it can be a long and painful process. 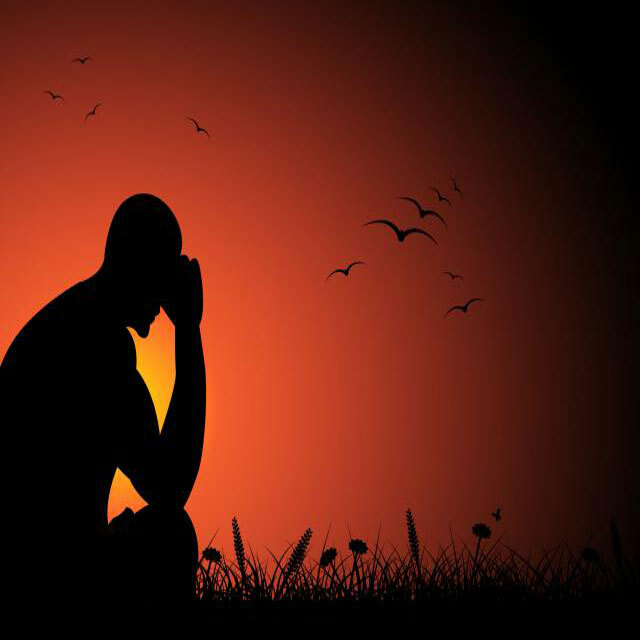 David Kessler(Kessler, 2016), suggests that the five stages of loss is denial, anger, bargaining, depression and acceptance, if used as a part of the grieving process, could help in identifying with feelings of loss, and eventually the ability to cope. So how did it happen for you? Can you remember? It’s not something you forget. Maybe it was your parent, a friend, or God forbid, your child. Was it a phone call in the middle of the night from the hospital your loved one was admitted, asking you to come in? They wouldn’t say why. You put the phone down, paralysed at the spot, thoughts racing. This is it, isn’t it? Otherwise they wouldn’t call at this time, maybe he’s just taken a turn for the worse and they want you there just in case. You forgot about elegance, chic or style and dragged on the nearest piece of garment, keys in hand you ran out the door. You were met on the ward by the nurse and taken to a room and asked if you would like some water. Sitting across from you, the Nurse looked at you with genuine sadness in her eyes, then said ‘‘I’m so sorry, but he’s passed away”. You sat there looking down at your bed slippers. The room suddenly seemed empty. You imagined it was a mistake, and they’d soon realise the mix-up. Did you put on a brave face “ok, so what now?” Maybe you broke down crying. Maybe you just sat there. Did you lose your home and had to pack your life in boxes? Maybe lived out of your car. How many of us can imagine cramming our family in a tiny rented accommodation, because it’s all we can afford. You knew it was going to happen and you had tried everything now there was nothing more you could do. Was it your job? Did your boss inform you they were letting you go? Maybe you just got married with a baby on the way, maybe you had started the renovations and decorating. You needed that job more than anything. Not in love with you anymore? That totally unexpected conversation that started something like this, “I’ve been trying to find the right way to tell you, but I’m leaving you.” “What?” you said. You didn’t see it coming, but then you realised why the delays on plans for the holiday. “I don’t understand you made love to me this morning” you responded. You tried to get answers but it was of no use. “I’m sorry It’s over, I’m just not happy.” You felt sick. It is not uncommon in situations like these, to try to deny they are even real, the shock is sometimes too much, too painful. But when reality sets in you cannot hide, and facing it is hard. So you get angry, at anyone, anything, yourself, even those you are grieving for. You may even begin to bargain with God or the Universe, making promises of faith, dedication, and devotion. You may start thinking ‘maybe if’ or ‘what if’ but none of that will matter. As the sadness, the memories and the emptiness overwhelm you, you may sink into that deep dark place where lost souls venture to seek solace, as depression sets in. It may seem like no-one and nothing can help you. Alone you will face the darkness, the pain, for it is here you face the emotions and delve into the feelings…..digging deep until finally you accept that what has happened is real but your feelings are not, they are just feelings, energy. The memories you are storing are based on that one moment in time, and each time you recall that moment of your loss, you will grieve all over again; the same feelings associated with those memories will return. There is no joy in a life recalling pain. Your pain caused by grief is from your feelings, and feeling are formed from memories. You grieve because you have lost someone or something you cared for deeply and you will never be the same. Your grief may be out of fear, of insecurity, out of shame. You grieve because that which made you happy has been taken away. Do not let something so precious and sacred, with memories of happiness and beauty be remembered with pain. It is possible to live with happy memories after a loss, but you need to choose it. Choose to remember with a smile the happy times, remember with love, for with happiness and love pain cannot permeate. Learn to accept your loss and learn to love yourself again, for when you love yourself you do what is best for you. Love yourself completely so when your eyes open, you will see friends and family all around. You are not the same, for as you rewrite the memories one day at a time, with happy ones it’s a new beginning. For you…….. the pain is gone.